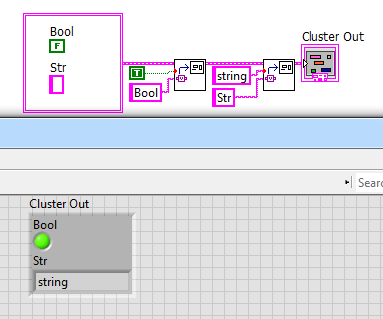 This Xnode allows setting a cluster element by label string without using references. I pulled a great deal of inspiration from Hooovahhs Variant Array to cluster xnode, which i suppose this could be used for, another benefit is its not limited to 255 elements. Its mostly experimental because I haven't used it much. Would you mind back porting to 2015? I added a LV2013 Version, I hope that helps. Let me know if you have any issues or comments. I have always wondered why this isn't a standard function. Very cool, I suspect there is probably an Idea Exchange item for this somewhere requesting this feature be native. Thanks for the shout out. Now supports recursive cluster elements for selection.